These are the Statutes adopted at the founders’ meeting on 28-30 September 1988 in Washington, DC, USA, as amended by the Members’ Conferences through 26 May 2012. 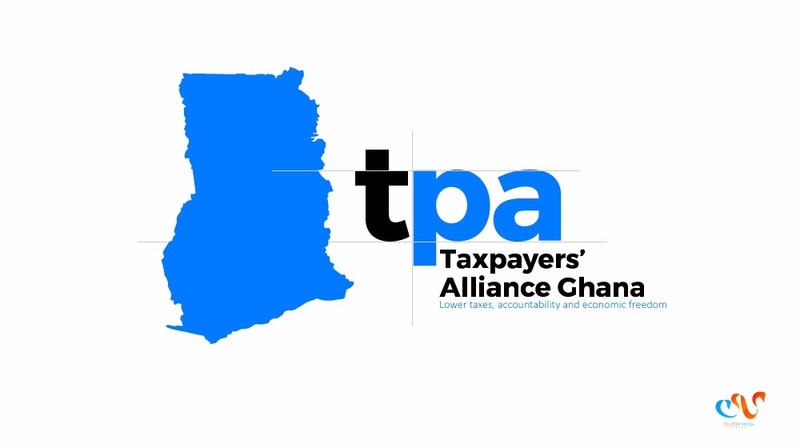 In 2000 the name of the organization was changed from Taxpayers Associations International to World Taxpayers Associations. The Board of Directors shall determine the location of WTA’s principal office from time to time. The founder member associations are those represented at the first meeting in Washington DC on 28-30 September 1988. Other taxpayers associations may apply to the WTA Board of Directors for admission to membership. The Board, after receiving sufficient information, may approve admission to membership. Membership shall begin upon the later of these two events: the Board’s approval and WTA’s receipt of the association’s full membership fee for one year. Members may form subdivisions of WTA to deal with questions of special interest within a certain geographical area. The exclusion of members who do not comply with their statutory tasks or violate the goals of World Taxpayers Associations may be decided by the Board. If a member association fails to pay its full membership fee for any one calendar year, it shall cease to be a member association and shall become an observer from and after 1 April of the next calendar year unless by 1 April its full membership fee has been paid for at least one of those two years. An observer which is a former member association becomes a member association again when it pays its full membership fee for any calendar year. In addition to observers which are former member associations, a taxpayers association may apply for observer status and the Board, after receiving sufficient information, may approve observer status. Observers may attend Members’ Conferences without vote. Members may withdraw upon giving six months’ written notice to the Board. A Members’ Conference shall take place every two years. The Board of Directors may call an additional Members’ Conference at any time. (a) Reports from the Board and Auditors regarding World Taxpayers Associations’ activities since the previous Conference. (b) Election of the Board of Directors as provided in paragraph 8. (c) Decision on the membership fee. Every member association shall have one vote and shall have the right to be represented by proxy by another member association. Any decision by a Members’ Conference shall require (a) the affirmative votes of a majority of the member associations which are present or represented and voting, and also (b) the affirmative votes of member associations whose total number of members is more than half of the total number of members of all member associations which are present or represented and voting. However, for any decision made pursuant to paragraph 6 or 11, the words “a majority” are replaced by “two-thirds” and the word “half” is replaced by “two-thirds.” “Number of members” means the number as determined for a member association’s most recent payment of the membership fee as stated in paragraph 6. The membership fee may be changed only (a) by a Members’ Conference, and any such action shall require the affirmative votes of two-thirds of the member associations present or represented, or (b) by membership voting in accordance with paragraph 7, and any such action shall require the affirmative votes of two-thirds of the member associations which vote on the proposed change. Definition of membership: A member association of WTA customarily reports a total number of members equal to the total number of persons or companies that have paid dues or made a contribution within the last 12 months. However, a member association may use any other legitimate method that reports a larger number of members, if the association pays WTA membership fee based on that number. Beginning with the year 2009, the annual membership fee is US$500 per member association up to 5,000 members, plus US$10 for every 1,000 members above 5,000 members. 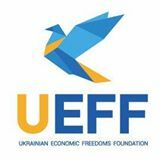 There shall be a lower membership fee of US$200 for new or small member associations and for member associations in hardship situations, as approved from time to time. The Board shall be entitled to seek the views of the Members between Conferences. The result shall be applicable in the same way as decisions taken at regular Members’ Conferences. Any decision by membership voting pursuant to this paragraph 7 shall require (a) the affirmative votes of a majority of the member associations voting, and also (b) the affirmative votes of member associations whose total number of members is more than half of the total number of members of all member associations voting. However, for any decision made pursuant to paragraph 6 or 11, the words “a majority” are replaced by “two-thirds” and the word “half” is replaced by “two-thirds.” “Number of members” means the number as determined for a member association’s most recent payment of the membership fee as stated in paragraph 6. A Board of Directors shall be elected by each Members’ Conference for a term ending at the election of the Board of Directors at the next Members’ Conference. The Board of Directors shall consist of at least six and not more than ten Directors. If any Members’ Conference fails to elect the Board of Directors, the terms of the Directors shall be extended until the election of the Board of Directors at the next Members’ Conference. WTA may reimburse Directors for reasonable and approved expenses incurred for the benefit of the WTA. The Board of Directors, in its first meeting after election of the Board, shall elect a Chairman, a Vice Chairman, a Secretary, and a Treasurer, and may elect other Officers, for a term ending at the next election of Officers. The Chairman and Vice Chairman shall be Directors and shall be representatives of member associations on two different continents. The other elected Officers may be, but need not be, Directors. The Chairman, or the Vice Chairman in the Chairman’s absence, shall preside at Board meetings and Members’ Conferences. If the Board of Directors fails to elect Officers as required by this subparagraph, the terms of elected Officers shall be extended until the first election of Officers after the next election of the Board. The Chairman shall also have the title of President. Each other Director shall also have the title of Vice President. The Board of Directors shall also appoint a Secretary General for a specified term. The Secretary General shall report to and be supervised by the Chairman and shall also make appropriate reports to the Board and to the Members’ Conferences. Any vacancy in the Board of Directors or in any Office may be filled by the Board. Subject to and in accordance with these Statutes and any decisions by the Members’ Conferences, the Board of Directors shall manage the activities of WTA, shall make WTA policy decisions, shall adopt standards and procedures for admission of member associations, and may delegate authority to any Officer, Committee, or Council. The Board shall designate and may change the duties and responsibilities of all Officers. A majority of the Directors shall constitute a quorum of the Board. Any decision by the Board shall require the affirmative vote of at least a majority of all Directors. Directors may attend and participate by electronic communications. The Board may also act by telephone conference or by mail, e-mail, or fax ballot. Each Director shall have the right to be represented by proxy by a designated person. The Board of Directors shall appoint an Advisory Board for a term ending at the adjournment of the next Members’ Conference. The Board may appoint additional Advisory Board members at any time. The Board shall seek to include in the Advisory Board representatives of large member associations, representatives of member associations on continents not represented on the Board of Directors, and professional and academic persons with expertise regarding taxpayer concerns such as taxes, government spending, bureaucracy, and privatization. In addition, every member association may appoint one person to the Advisory Board and may change that person at any time. The Board may appoint Committees and Councils whenever advisable in the Board’s judgment. To be valid, documents issued by World Taxpayers Associations must be signed by the Chairman, Vice Chairman, or other person authorized by the Chairman or by the Board. The accounts of the organization shall be kept for the calendar year. The Board of Directors shall adopt and may revise a budget for each calendar year. Regular financial reports shall be made to each Members’ Conference. The WTA annual financial statements shall be audited by a qualified independent accountant or auditor selected by the Board. Decisions to amend the Statutes or to dissolve World Taxpayers Associations may be taken at a Members’ Conference or by voting according to paragraph 7. A majority of two-thirds of the Members present or represented shall be required in such instances. A decision to dissolve World Taxpayers Associations shall also include a stipulation of how to transfer the assets to other non-profit organizations with similar aims. World Taxpayers Associations shall receive administrative and financial management services provided by National Taxpayers Union Foundation (“NTUF”), a non-profit educational organization and a member association of WTA. These services, and other services acceptable to NTUF and to the WTA Board of Directors, shall be provided without charge and in accordance with a plan or agreement approved by the WTA Board of Directors. For the purposes of these services, WTA shall be regarded as a division of NTUF. WTA shall continue to be governed by the WTA Statutes, WTA Members’ Conference, and WTA Board of Directors and Officers. Either WTA or NTUF shall have the right to terminate the relationship between WTA and NTUF as of the end of any calendar year by giving at least three months’ written notice.